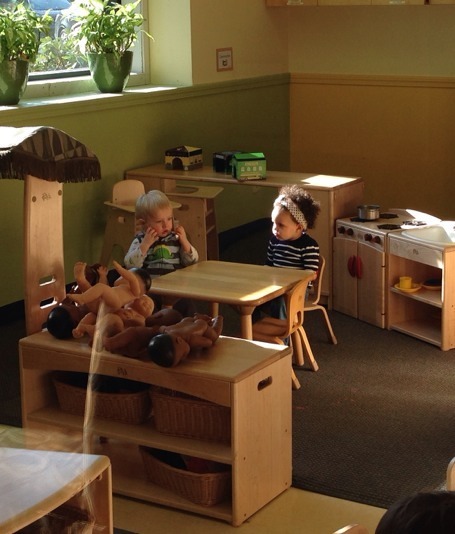 The Biscuit and a classmate share a quiet moment during a trial run at her new (GASP!) preschool. That’s right, folks. Two days a week, my little girl will be learning, doing and growing in someone else’s hands. Her: Yeah. This place looks ok. Do you like it? Him: It's aight. The other kids can be whiny babies but the teachers are strict but fair.